“Olympus has Fallen” is not good. It’s bad. Let’s just put that right on the table where everyone can see it. All that’s left to determine is exactly what kind of bad it is: bad bad, or fun bad. The answer is bad bad. There’s a few hilariously dumb parts, but there’s nothing here you haven’t seen before, and no reason at all to actually see the movie. The characters are lame and the dialogue is atrocious. Eugh. I hope you people appreciate what I do for you. The White House is invaded by terrorists and the president is captured. 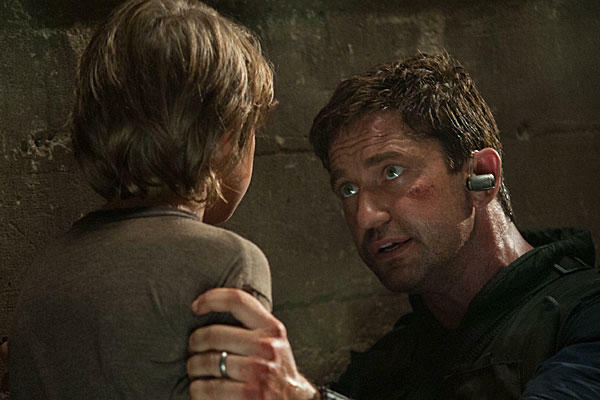 Only disgraced former Secret Service agent John McClane (Gerard Butler) can stop them. Insert a lot of terrible shots of CGI flags in slow motion. Olympus Mons(trously bad.) Man that sucked. This is the kind of movie that lives and dies depending on how seriously they take the premise, and early on, there’s indicators that the directors made the right choice. By the by, the right choice is not seriously at all. 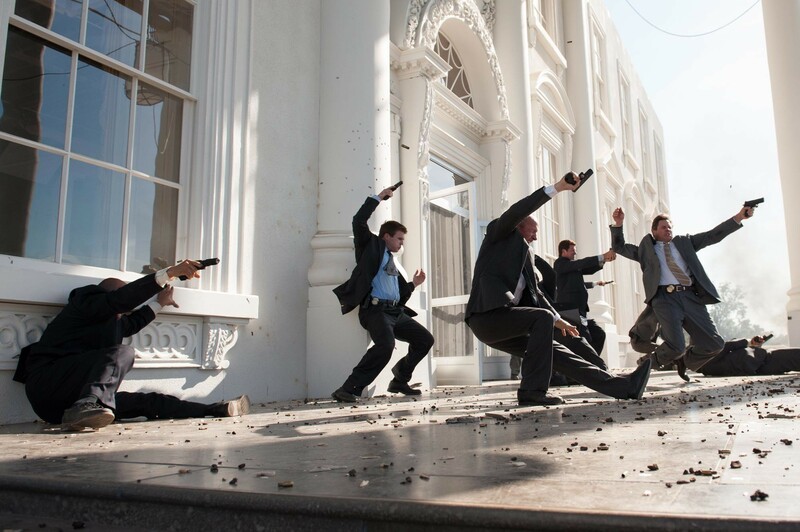 The scene where the terrorists attack the White House is gloriously stupid, and comically overly elaborate. It was like the writing staff just gave up after the “no bad ideas, guys!” part of their meeting. Half of the terrorists efforts could be just as easily replicated by one guy running around shooting a gun in the air. That doesn’t matter though. What matters is that it is damn entertaining. The movie gets even better with the most amazing use of Abraham Lincoln since “Black Dynamite.” Unfortunately, it takes a sour turn after that. Remember how I cleverly implied a connection to “Die Hard” at the start of this review? I think it was obvious to most people that Olympus would be taking an influence from that movie. That’s a good thing though, “Die Hard” was awesome. However, I didn’t expect “Olympus” to literally be “Die Hard”. I’m not just talking like, basic plot, or characters, or whatever, I’m talking entire scenes lifted straight out of it. It’s really amazing. Of course, they forgot the crucial element that made “Die Hard”, y’know, actually good. The problem is Butler’s character. Mike Something. He’s just a badass action army guy who shoots bang bang at the bad guys. The reason “Die Hard” works is because you root for the underdog Bruce Willis, who is just some ordinary guy in a crazy situation. Butler is pretty much in control the entire time. The only setback he has is that he’s sad about something, but it never affects him in any way so who cares. I guess you can forgive them for missing that element though; even the guys who make “Die Hard” movies forgot about it. Olympus Has Fallen… For Hunky Koreans. The other main problem is the absolutely hideous dialogue. It’s all so painfully lazy. Pretty much every relationship is established by people saying: “Hey remember when (INSERT MOMENT OF COMRADERY. )” They show that Butler is married by having his wife say “Hey remember that vacation we wanted to take for a honeymoon?” They show that these two guys are friends by having one guy say– i kid you not– “Hello, my friend.” Butler also has exactly zero cool one liners, which is a colossal missed opportunity. Performance wise. Yea. Nah. Nope. Not much. Aaron Eckheart is president Bland Whiteman. Morgan Freeman shows up and does his whole reassuring President thing. (Yes, they are both the President in this movie, I guess Morgan Freeman has a thing in his contract where he has to the President in whatever movie he’s in.) As I said before, Butler is Action Hero Man, and not worth talking about. 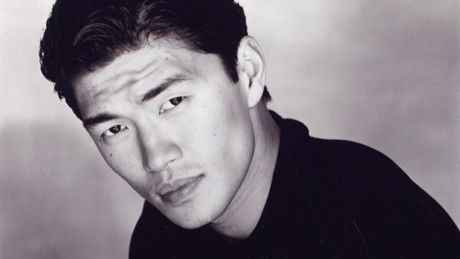 I did, however, enjoy Rick Yune as the villain. He has a very good “smug villain” personae that’s perfect for this kinda thing. Also he is way hot. In the end though, Olympus is a movie that could have been a great time if they just took the concept and had fun with it. It starts out that way, but quickly deteriorates into lame “Die Hard” lite that lacks any of the heart or characterization that makes that movie such a classic. There is one slightly interesting scene where they question the idea of the President being this perfect, all knowing leader figure that he usually is in these kinda movies, but it’s not really fleshed out. Whatever. Don’t see it. 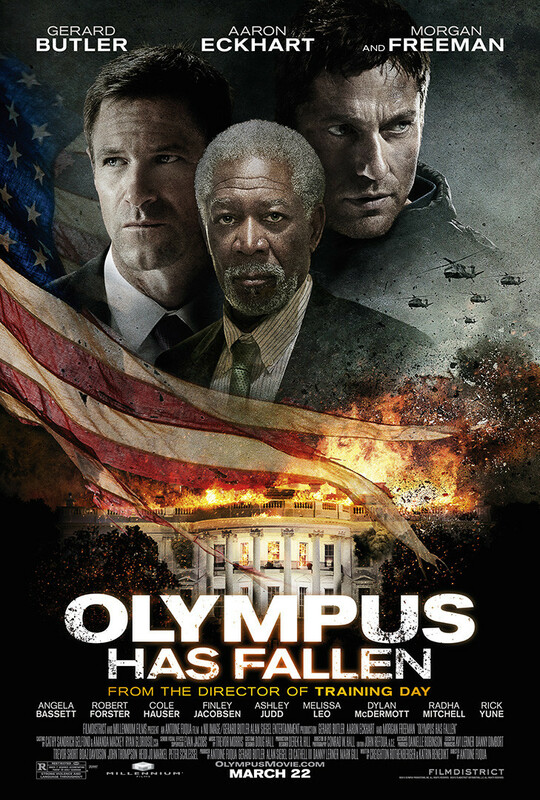 There are currently No Comments on Movie Review: “Olympus has Fallen”- A Good Day to Fall Hard. Perhaps you would like to add one of your own?